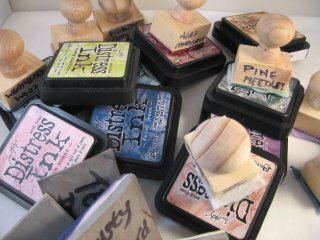 This is my personal choice of inks and there are many lovely colors in the range and new ones are being added all the time in the Tim Holtz collection. Use them with your stamps to create an image that matches your colour scheme. 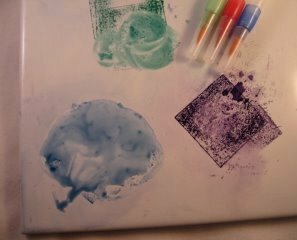 Dab the colours from the ink pad directly onto a white ceramic tile and make your very own palette. Add a little water and mix it with the inks on the tile to produce a paler colour. Don't be tempted to take your wet brush direct to the ink pad though or you will dilute the whole pad. Blend them as you need and when you have finished just leave the colours to dry on the white tile. The next time you need them they can be re-activated again for another use on another day, making them very cost effective. Why not make some Blending Tools, for some colourful effects. 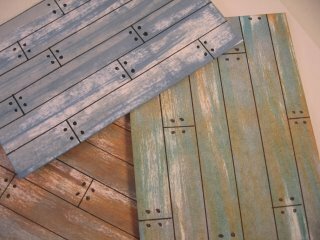 There are new colours being added to the Tim Holtz range regularly. 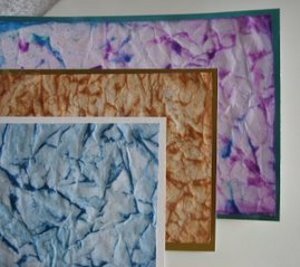 They are a truly versatile medium for the Cardmaker....new or seasoned so don't be afraid of them.